With the confirmation of former CEO of ExxonMobil Rex Tillerson to the office of Secretary of State, the Trump Administration is poised to relive the mistakes of the Reagan era foreign policy towards Latin America in a way that may fundamentally destabilize the region for decades to come. From the earliest days on the campaign trail, there has been one clear message espoused by Trump that defined how the United States would begin to approach international affairs: “America First.” Now, formalized in his first address as President of the United States, “America First” is set to define a new global order that will challenge pre-existing alliances and long-held norms. Far from reassuring, the confirmation hearing of Rex Tillerson as Secretary of State has finally brought into public discourse the Trump Administration’s full intention to strong arm the region into getting what it wants, a strategy that has failed U.S. presidents for decades. 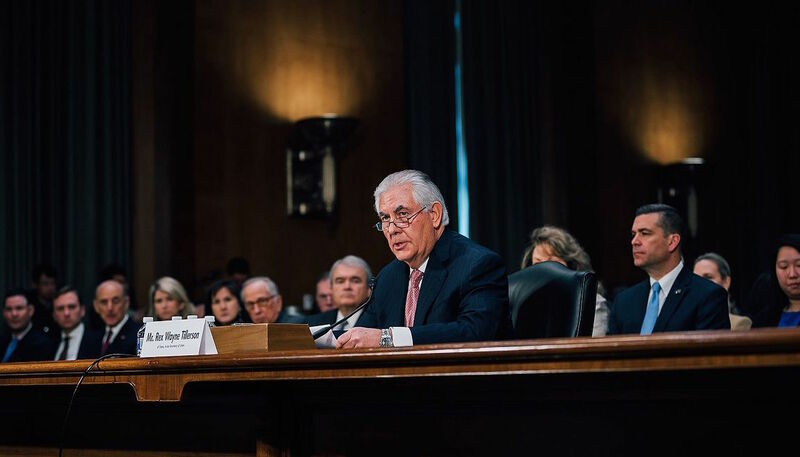 In his opening statement to the Senate Committee on Foreign Affairs, Secretary Tillerson spoke to the new role of the United States as it departs from the Obama Administration’s foreign policy of promoting cooperation through bilateral and transnational institutions and organizations. In brief, this position can be summarized by the following declaration that, “To achieve the stability that is fundamental to peace and security in the 21st century, Washington’s leadership must not only be renewed, it must be asserted.”[i] From this, Tillerson has effectively espoused a new doctrine of foreign policy that resumes the Reagan Doctrine’s acceptance of active interference in the domestic affairs of nations reconstituted under the banner of self-interest, rather than a genuine desire to promote a liberal democratic world order. To demonstrate this, one only needs to look at the remarks that Tillerson has made with respect to Cuba and Venezuela, and how closely he tows the rhetorical line between regime change and promoting democratization. To date, Secretary Tillerson has offered only pallid generalities when speaking about how he would advise President Trump in order to deal with fast-moving events in Cuba. With a clear vision that he does not support the liberalization of the normalization process begun by President Obama, instead preferring a resumption of the traditional heavy-handed approach. More than just reversing many of the executive orders issued by Obama in his opening statement, Tillerson remarked that he believes the actions of Obama “[served] neither the interest of Cubans or Americans.”[vi] He has also remarked that he “will press Cuba to meet its pledge to become more democratic and consider the resumption of more generous trade conditions on trade and travel policies to motivate the release of political prisoners.”[vii] This method of attempting to force policy reforms, as emblemized by the long-standing U.S. trade and travel embargo against Cuba, has been largely ineffective and has been repeatedly condemned by most nations. [viii] That is not to say Tillerson is wrong to suggest that the United States needs to continue to work towards the active promotion of human rights and democracy in Cuba, but his rhetoric suggests an active process that would radically interfere without clear limits as to what would be appropriate conduct in dealing with equally sovereign nations. With respect to Venezuela, Tillerson has been far more explicit in his denouncement of the Maduro Administration and his desire for the United States to play a much more active role in litigating the domestic affairs of the nation. In response to a series of questions posed by Latin America Goes Global, Tillerson wavered between wavered between the role foreign actors should play in resolving the ongoing dispute between President Maduro and the National Assembly. At one point, Tillerson remarked, “The U.S. should continue to support legitimate dialogue to resolve the political crisis between the Maduro government and the opposition that now controls the National Assembly.”[ix] At another point he asserted, “We will continue to strongly support the efforts of OAS Secretary General Almagro in invoking the Inter-American Democratic Charter to promote the normalization of the situation in Venezuela and restore democratic institutions.”[x] The Inter-American Democratic Charter (IADC) has long been controversial within Latin America since its establishment on September 11, 2001, as seen through the ongoing debate about whether or not the IADC is tantamount to interventionism and a violation of the Organization of American States’ (OAS) principle of national sovereignty. [xi] The IADC authorizes the suspension of membership of the Organization of American States (OAS) as well as the implementation of sanctions against countries whose democracies have been compromised, for which there is no agreed upon definition. 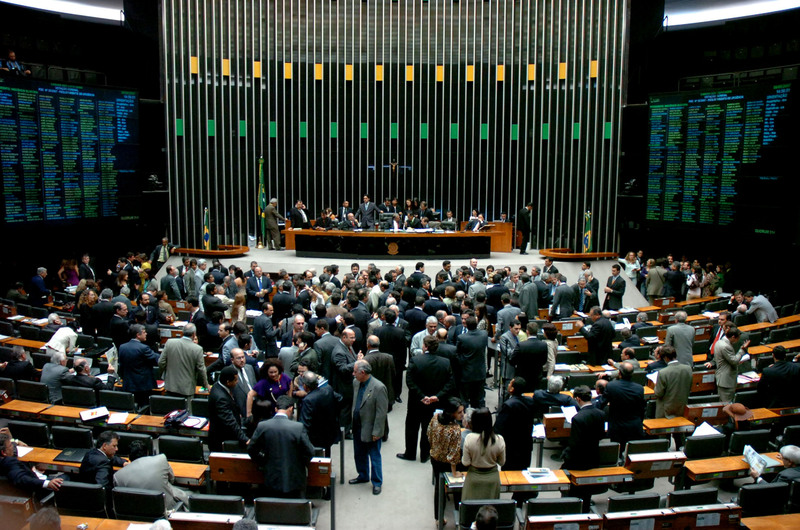 The Council on Hemispheric Affairs has a longstanding commitment to advocate for the respect of human rights, the promotion of democratic governments, and the promotion of rational U.S. foreign policy initiatives towards Latin America. Despite his rhetoric, it is clear that it is the intention of Rex Tillerson as Secretary of State to put these values in jeopardy through an active intervention in the domestic affairs of a nation when it is in the best interest of the United States. The regression back to this historically present conservative foreign policy towards Latin America that views nations not as partners in regional affairs but as liabilities for the United States has every potential to destabilize the region as it did time and time again from President Ronald Reagan to President George W. Bush. It is imperative to recall that President Trump remarked to CIA officers the day following his inauguration, “I am so behind you. I know maybe sometimes you haven’t gotten the backing that you’ve wanted and you’re going to get so much backing.”[xiv] As such, although Tillerson’s policy prescriptions have not been blatantly aggressive to date, taken in this context, the liberal democratic order should be constantly concerned about being undermined by both the overt and subversive actions of the current administration with the active consent of Tillerson as the new Secretary of State. [i] “Trump Secretary of State Choice to Say Russia Must be Held to Account.” Fox Business. January 11, 2016. Accessed January 23, 2017. http://www.foxbusiness.com/markets/2017/01/11/trump-secretary-state-choice-to-say-russia-must-be-held-to-account.html. [ii] Hirschfield Davis, Julia. “Announcing Cuba Embassy Deal, Obama Declares ‘New Chapter’.” New York Times. July 1, 2015. Accessed January 23, 2017. https://www.nytimes.com/2015/07/02/us/us-cuba-restoring-diplomatic-ties-and-reopening-embassies.html?_r=1. [iii] Zibechi, Raul. “The Failure of the Summit of the Americas VI – FPIF.” Foreign Policy In Focus. May 10, 2013. Accessed January 23, 2017. http://fpif.org/the_failure_of_the_summit_of_the_americas_vi/. [iv] Teran, Kate. “Obama Puts His Foot Down: U.S. Ends.” Council on Hemispheric Affairs. January 18, 2017. Accessed January 25, 2017. http://www.coha.org/obama-puts-his-foot-down-u-s-ends-wet-foot-dry-foot-policy/. [v] “What The End Of ‘Wet-Foot, Dry-Foot’ Means For Cubans.” NPR. January 14, 2017. Accessed January 25, 2017. http://www.npr.org/2017/01/14/509807177/what-the-end-of-wet-foot-dry-foot-means-for-cubans. 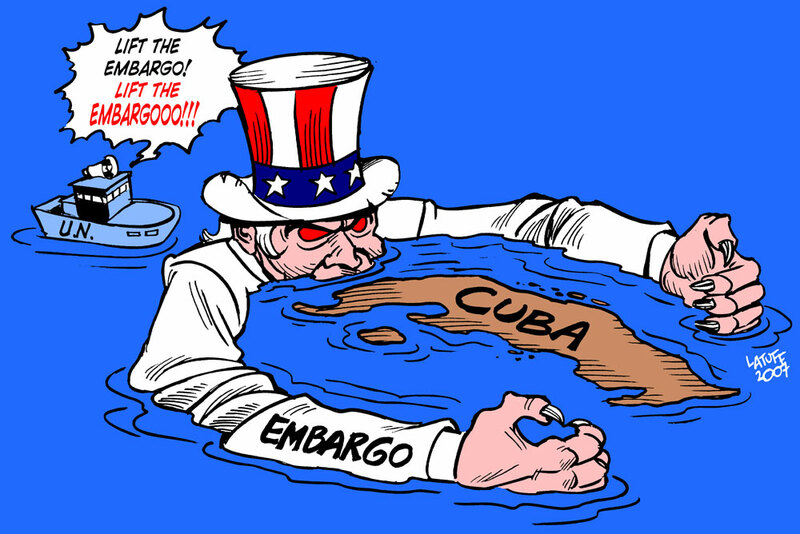 [vi] “Tillerson: U.S. has not held Cuba ‘accountable’ in reengagement.” Miami Herald. January 11, 2017. Accessed January 25, 2017. http://miamiherald.typepad.com/nakedpolitics/2017/01/tillerson-us-has-not-held-cuba-accountable-in-reengagement.html. [vii] “Secretary-of-State-designate Rex Tillerson’s confirmation answers on Latin America policy.” Latin America Goes Global. January 20, 2017. Accessed January 23, 2017. http://latinamericagoesglobal.org/2017/01/secretary-state-designate-rex-tillersons-comments-latin-america-policy-confirmation-hearing. [ix] “Secretary-of-State-designate Rex Tillerson’s confirmation answers on Latin America policy.” Latin America Goes Global. January 20, 2017. Accessed January 23, 2017. http://latinamericagoesglobal.org/2017/01/secretary-state-designate-rex-tillersons-comments-latin-america-policy-confirmation-hearing. [xi] Perina, Rubén M. The Organization of American States as the advocate and guardian of democracy: an insider’s critical assessment of its role in promoting and defending democracy. Lanham, MD: University Press of America, Inc., 2015. [xii] Levy-Carciente and Maria Teresa Romero, Sary, and Maria Teresa Romero. “Rex Tillerson Has a Long, Troubled History in Venezuela.” TeleSUR English. January 10, 2017. Accessed January 23, 2017. http://www.telesurtv.net/english/opinion/Rex-Tillerson-Has-a-Long-Troubled-History-in-Venezuela-20170110-0025.html. [xiii] Everett, Burgess, Andrew Restuccia, and Nahal Toosi. “Key moments from Tillerson’s confirmation hearing.” Politico. January 11, 2017. Accessed January 25, 2017. http://www.politico.com/story/2017/01/rex-tillerson-confirmation-hearing-key-moments-233469. [xiv] Rucker, Philip, John Wagner, and Greg Miller. “Trump, in CIA visit, attacks media for coverage of his inaugural crowds.” The Washington Post. January 22, 2017. Accessed January 25, 2017. https://www.washingtonpost.com/politics/trump-in-cia-visit-attacks-media-for-coverage-of-his-inaugural-crowds/2017/01/21/f4574dca-e019-11e6-ad42-f3375f271c9c_story.html?utm_term=.6dc188e89090.